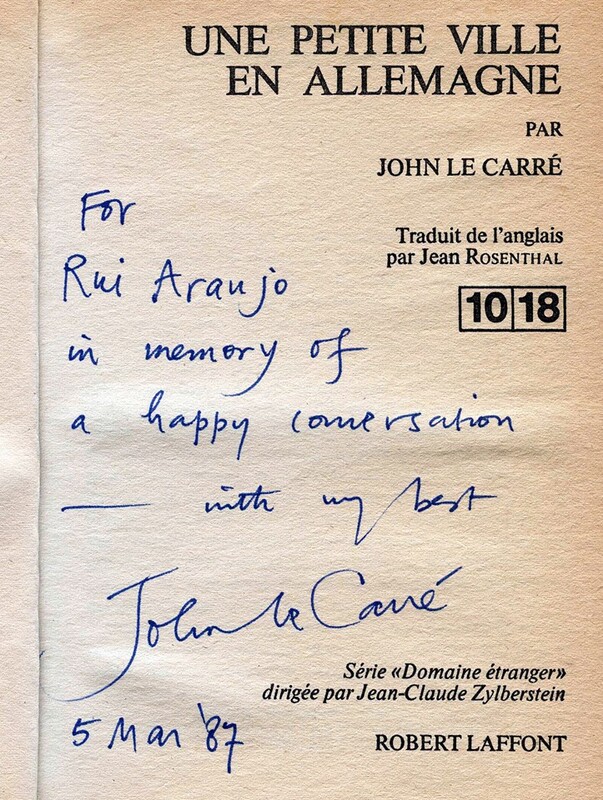 My friend, the excellent Portuguese investigative journalist Rui Araújo, recalls an enjoyable 1987 afternoon he spent with John Le Carré , the iconic former British spy turned spy novelist. After Araújo interviewed him, the two repaired to an afternoon, over lots of wine, to a Lisbon cafe and discussed love and philosophy and literature and, of course, espionage. Le Carré was in Lisbon to write “The Russia House”, a novel about love, morality, loyalty, courage, and betrayal. A few minutes later, as their conversation continued, “he looked me in the eyes, smiling” and took another of his works in his hands. A few minutes later, as their conversation continued, Le Carre” looked me in the eyes, smiling” and took another of his works in his hands. 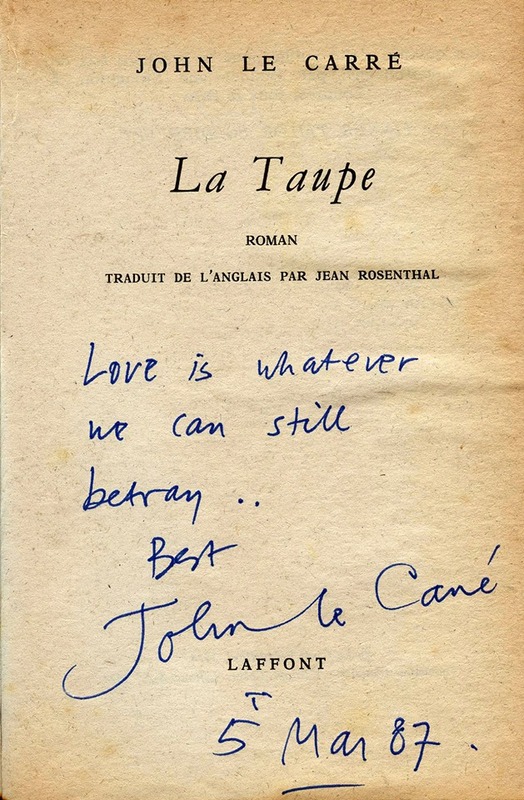 Le Carre, a man steeped in a life work of duplicity and betrayal, was saying that, for him and I submit for many of us, one of the few things, after a life well spent, left to choose to not betray, is love. Or, even worse, when love has ceased to be demanded as an objective for a fulfilled life and substituted with the desire for “material comfort and appearances.” Then, lies and cowardice fuel the betrayal where inevitably it ends mired in the carnage of the sorrow and pain of the heart. While money can not buy love, it does facilitate business, which is what Valentines Day is: The business of love, institutionalized, diminished and soiled. Once love is betrayed, there is nothing else left to betray in life. Diminishing and soiling love by legitimizing the pressures of commercialism is an insidious betrayal. Thank you John Le Carré, the spy, and Rui Araújo, the investigative journalist . And Happy Valentines Day everyone,sort of. More importantly, Happy The Day After Valentines Day is Done And Over With……..
And for you , what is Love?